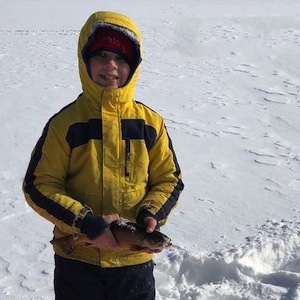 The frozen lakes may seem quiet in winter, but underneath that ice, the water is teeming with the best fish in the Northland: lake trout, rainbow trout, walleye, northern pike and panfish. There’s no need to worry about the cold Minnesota wind because your guide brings along a portable ice house, heater, lunch and warm beverages. 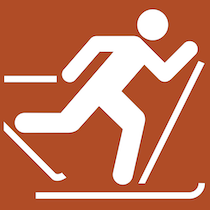 That means you’ll have plenty of time to relax and enjoy a day out on the ice. Whether you are an experienced angler or brand new to this winter tradition, call us at 218-387-3136 to schedule a day of ice fishing. 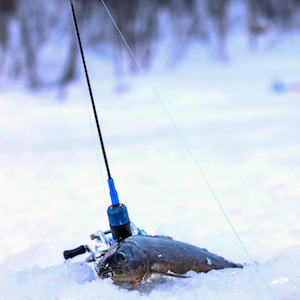 Full Day Ice Fishing Trips are $150/person. Meet at Stone Harbor at 8:30 AM to get geared up. Then it is off to the lake to pursue lake and rainbow trout, walleye, northern pike and panfish. Half Day Ice Fishing Trips are $100/person. This is the ideal trip for bringing younger family members! We meet you at Stone Harbor at 8:30 AM to get geared up. After that we head to the lake for a great morning of fishing.